Sheffield's 65daysofstatic are often described as post-rock and while that may be true, they wear many other hats thanks to their strongly electronic and experimental leanings. For those who are unaware of their brilliance, the band are giving away a free EP of collected works from their back catalogue. 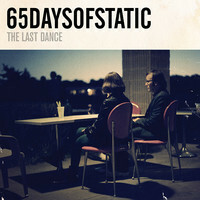 Download 'The Last Dance' below. The EP collates tracks from their most recent records, namely the 'Heavy Sky' EP, their fourth studio album 'We Were Exploding Anyway', their live album 'Escape From New York' and their new soundtrack to the 1972 sci-fi classic 'Silent Running'. Consider it an introduction to the band, and one which the band want fans to spread as far and wide as possible ahead of the rest of their festival dates. Potentially of particular interest is the live version of 'Come To Me', with Robert Smith of The Cure lending his vocals. But really, it should all be of interest - it's designed to be a cohesive EP, beginning with the "amazingly messy glitchy post-rock melee" of 'Crash Tactics' and finishing off with the elongated techno-inspired 'Tiger Girl'. Download the full EP at Soundcloud. 65daysofstatic are playing summer festival dates in the UK and beyond. For more info, head to 65daysofstatic.com.